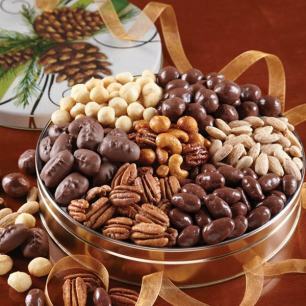 Finding the perfect Christmas gift can be a challenge, but it's hard to go wrong with a delicious treat. 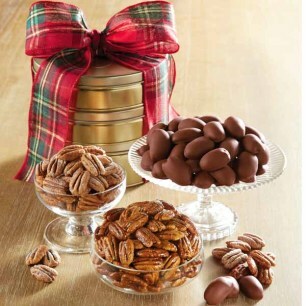 Browse our appetizing selection of pecan gift sets to discover an irresistible flavor for everyone on your holiday shopping list. 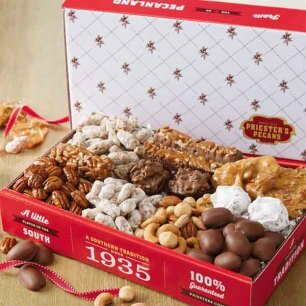 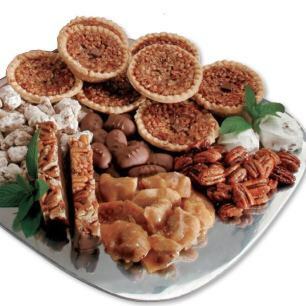 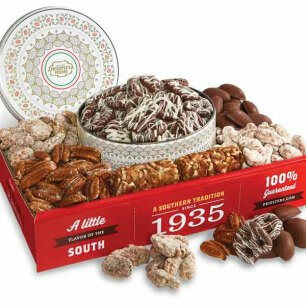 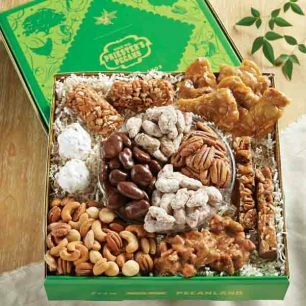 Our Southern Delights Sampler is sure to be a crowd-pleaser with its delectable combination of pecan brittle, pecan divinity, praline pecans, and more of our most popular items. 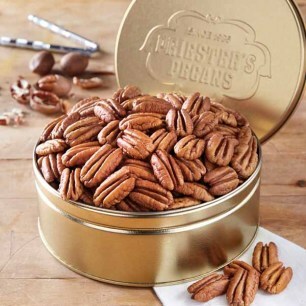 Or if you prefer classic pecans without the frills, choose one of our tins filled with a variety of nut favorites. 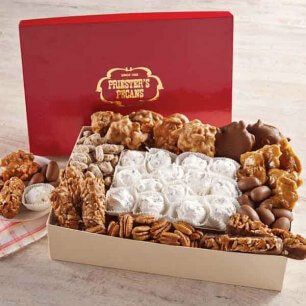 All are included with festive packaging your family and friends will love opening to reveal the treasures inside. 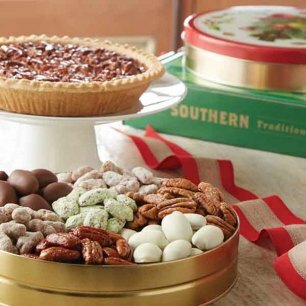 Enjoy these farm-fresh Southern delicacies around the tree and start a wonderful new yuletide tradition! 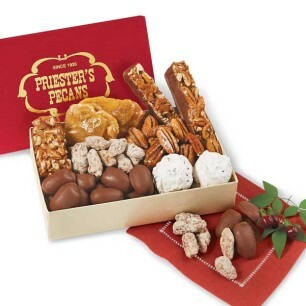 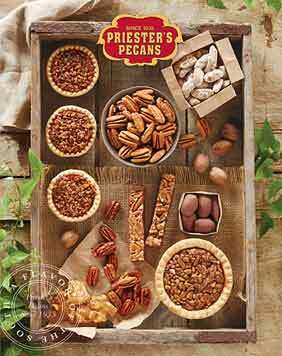 With everything from pecan pies to candied pecans, shop Priester's Pecans for gifts and desserts that is sure to be a hit during holiday parties and gift giving!